Children love the challenges that are inherent in these games and exercises. For children it is just good fun, but in the longer term it is deeply beneficial – and the enjoyment makes learning easy. Creative Yoga Games for Kids is accessible and inspiring. The cards are also popular in early childhood settings. See the review in Ausdance Victoria’s ‘Kinesis’ magazine. The kit consists of 48 beautifully designed cards and a 28 page booklet guide of group and individual games, suggestions and explanations. 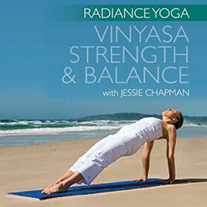 The cards are divided into eight sequences of yoga postures with easy to follow instructions. There are five or six cards to each sequence. Education through enjoyment is a consistent thread that runs through the style of teaching that Edna Reinhardt has advocated for over 30 years. Suitable for children 4 years and older. Gowrie Victoria is pleased to have worked with the Department of Education and Early Childhood Development to design several kits specifically designed to support staff and enrich children’s experiences by providing an exciting range of resources and specialist support. There are seven theme based kits which have been developed by Gowrie Early Childhood specialists. Kits include reference books for educators, children’s books and hands-on materials such as games, puzzles, musical instruments, c.d.’s and puppets. 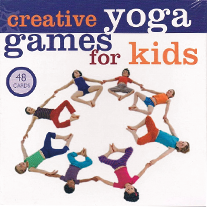 We are delighted and honored that creative yoga games for kids, has been chosen as one of these resources.